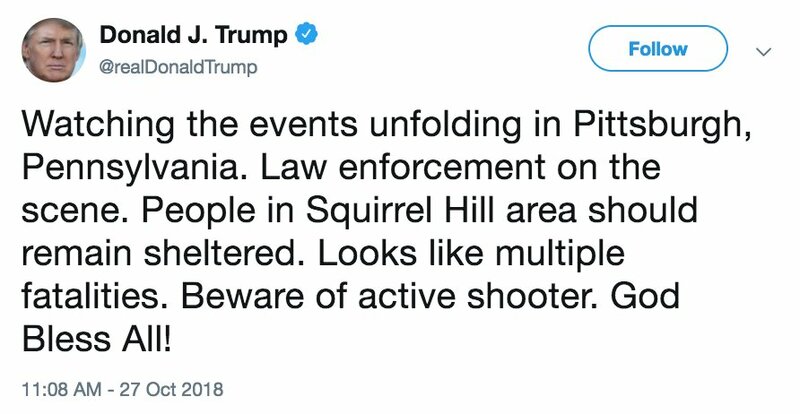 Suspect, described as a 46-year-old male, in custody in Pittsburgh synagogue shooting, according to @PghPublicSafety source. Authorities in Pittsburgh confirm numerous people, including at least one police officer, wounded by shooter. 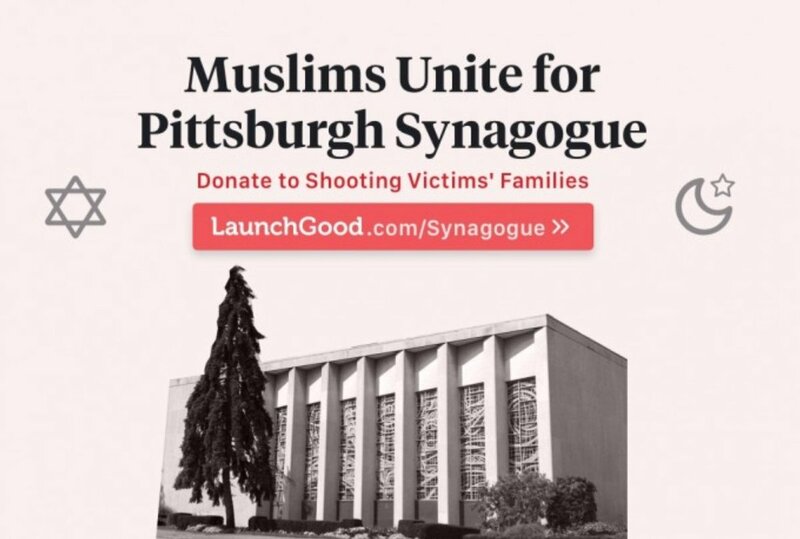 A regular Sabbath service was underway at the Pittsburgh synagogue at the time of the attack. The shooter was carrying multiple weapons, according to authorities. Later today @POTUS is scheduled to speak in #Indiana and #Illinois. #TreeofLife currently being checked for explosives that the shooter might have deposited, according to authorities. 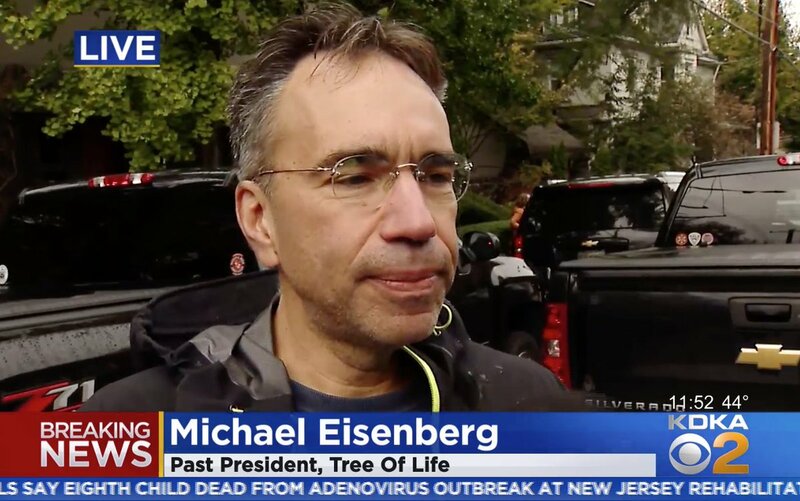 "We've never had any threats,"Michael Eisenberg, past president of #TreeofLife, tells reporters. 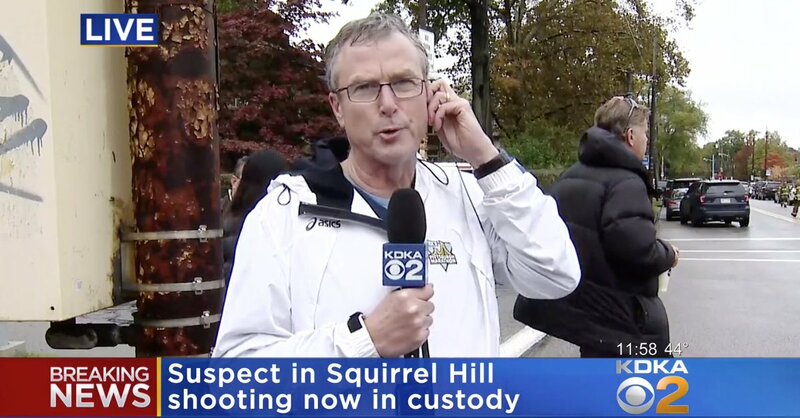 Gunman burst into synagogue at 09:30 local time during a Shabbat service and bris (circumcision ceremony), shooting indiscriminately and yelling "all Jews must die" , according to @KDKA reporter. #Pennsylvania @GovernorTomWolf reported on the scene at #TreeofLife. "We'll be making a major statement" at @NationalFFA conference today, says @POTUS. 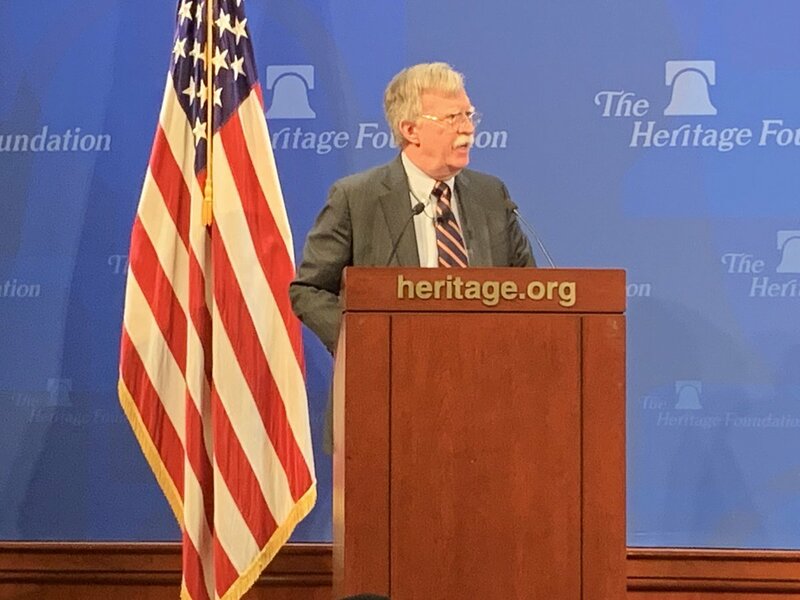 "It's a terrible, terrible thing going on with hate in our country...something has to be done." "This has little to do it," replies @POTUS when asked about stronger gun laws. 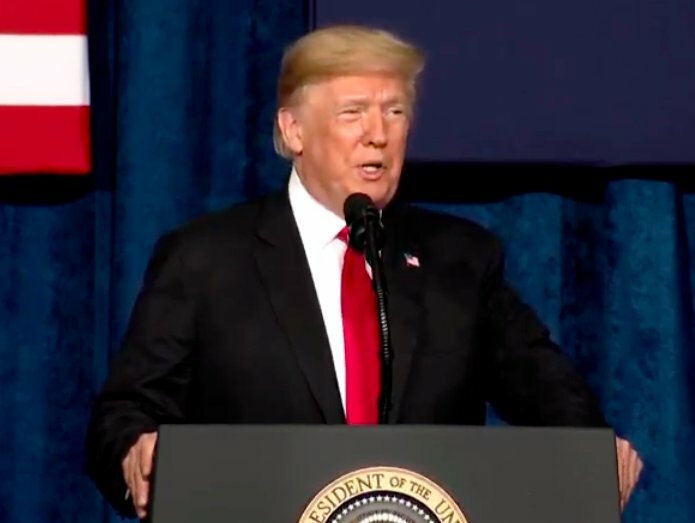 "If they had protection inside the results would have been far better"
"To see this happening again and again and again is really a shame," adds @POTUS. "The world is a violent world." "When people do this they should get the death penalty," @POTUS tells reporters at Joint Base Andrews. "They should very much bring the death penalty into vogue." 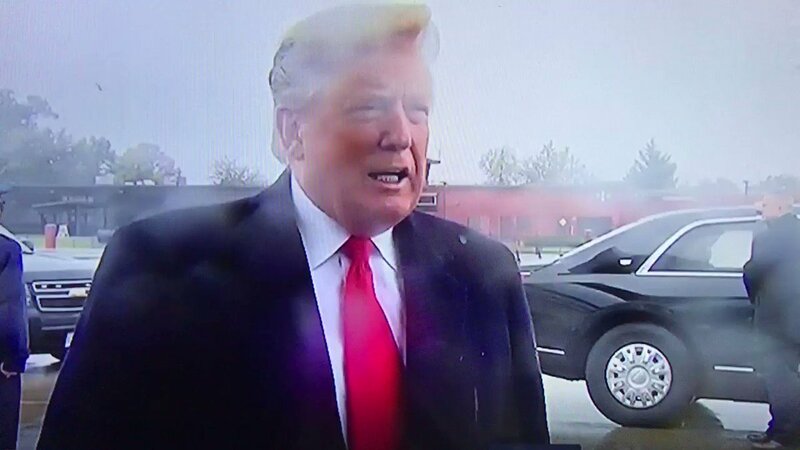 "This is a case where if they had an armed guard inside the Temple they would have been able to stop him and maybe nobody would have been killed," according to @POTUS. "Certainly the results might have been far better." "It's certainly an option" to now put armed guards inside every synagogue in the country, says @POTUS. "They didn't have any protection. They had a maniac walk in." "It's so sad to see" this sort of thing happen "when you're president of the United States," says @POTUS just before boarding Air Force One at Joint Base Andrews. 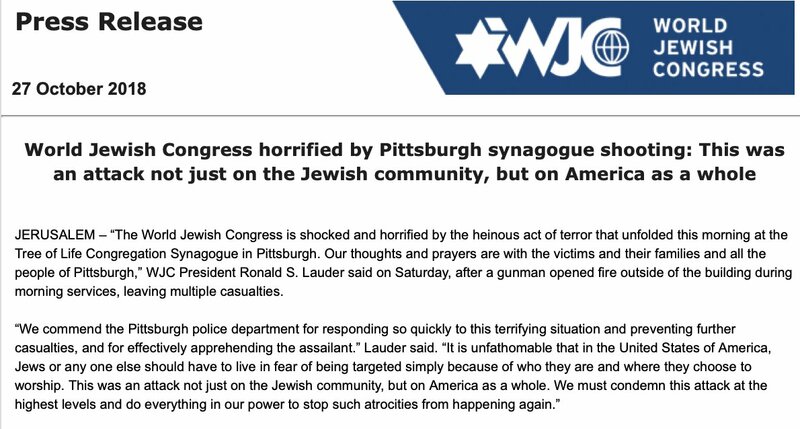 "This was an attack not just on the Jewish community, but on America as a whole," says @WorldJewishCong. "We will stand together like a rock against hatred and against those who try to harm Jews all over the world," says #Israel ambassador to #UN, @dannydanon. The @HolocaustMuseum "reminds all Americans of the dangers of unchecked hatred and antisemitism which must be confronted wherever they appear and calls on all Americans to actively work to promote social solidarity and respect the dignity of all individuals." Speaking to reporters on Air Force One, @POTUS says he’s considering cancelling his #MAGA rally in #Illinois later today because of the #TreeOfLifeSynagogue shooting, but notes that many people are lining up to attend. "It would seem to be an anti-Semitic crime,” @POTUS says to reporters on arrival in #Indiana. "...thoughts and prayers are not enough – Congress must finally act on commonsense, bipartisan gun violence prevention legislation," adds @NancyPelosi. Police now at #TreeofLifeSynagogue shooting suspect's residence. At least 10 dead in #TreeOfLifeSynagogue shooting, according to @AP sources. Statement on #TreeOfLifeSynagogue shooting from @SpeakerRyan. “The President was briefed during the flight and is receiving regular updates on the horrific tragedy in Pennsylvania by Mike Burnett, Senior Director for Counterterrorism," says @PressSec in statement about #TreeOfLifeSynagogue shooting. Statement from #UN Secretary-General @antonioguterres on #TreeOfLifeSynagogue shooting. Multiple casualties in shooting near Pittsburgh synagogue, report says. President Trump, asked about gun laws, says the Pittsburgh synagogue should have had armed security. How about less guns in the hands of unstable racists and antisemites? 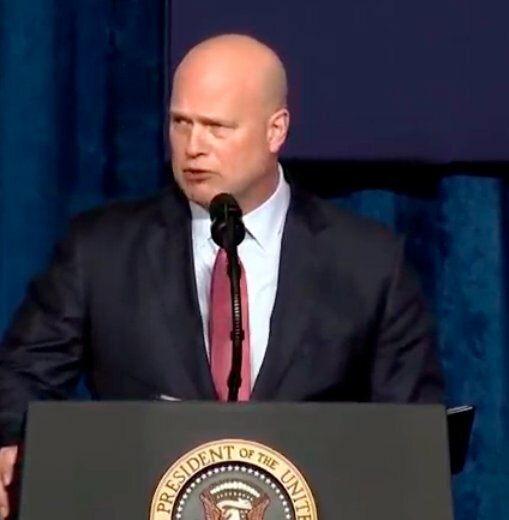 Thoughts & prayers, but also a determination to talk about gun laws NOW. (1) Breaking: Active shooter situation in the last 40 mins at YouTube HQ, San Bruno, CA. Walmart, Kaiser hospital, offices nearby. San Fran general hospital report receiving multiple patients. YouTube building >110k sq ft, 800 workers. (2) FOX updates earlier info to say the building is >220k square feet, 1.700 workers. ABC7 reporting a "white adult female wearing a dark top and a headscarf came in the back door and started firing." Stanford Hospital reports receiving 4-5 patients. SF General reported receiving patients earlier.